We had our first discussion workshop on 18th March. Mary Midgley and members of the Midgley family were in attendance, along with panel members. Topics for discussion included the Wartime Context, Did It Matter that they were Women? and the philosophical work of the Wartime Group. 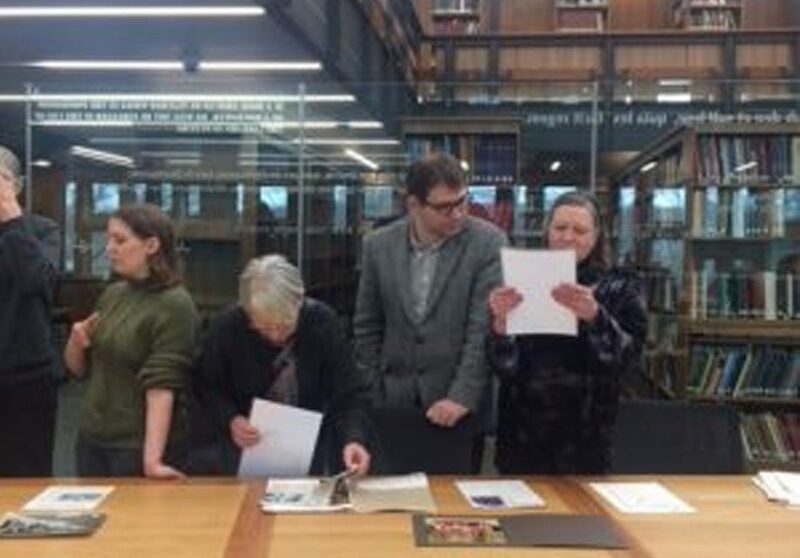 We also had a visit to the Midgley Archive at Palace Green Library. Thanks to everyone involved! It was a super occasion. Here’s the workshop handout to give you an idea of what we discussed. We think the jury is in: they are a School! This looks great, would have loved to attend (phil MA student here, Anscombe fan), will check out the handout!